The authorities have begun preparations for the parliamentary elections in the Republic of Moldova to be fair and transparent, and the citizens can freely choose their representatives in Parliament on the basis of the mixed electoral system. The statement was made by Andrian Candu, Parliament Speaker, during a meeting with a delegation of the Estonia-Moldova Parliamentary Friendship Group. Speaker said that Parliament will support the institutions in the efficient organization of the electoral process. In this context, Andrian Candu pointed out that the Law Commission, Appointments and Immunities now organize hearings with the participation of civil society and experts in examining the provisions of electoral legislation, including the need to regulate electoral agitation in the online environment. According to the Speaker of Parliament, Estonia's experience in this area is also being examined. 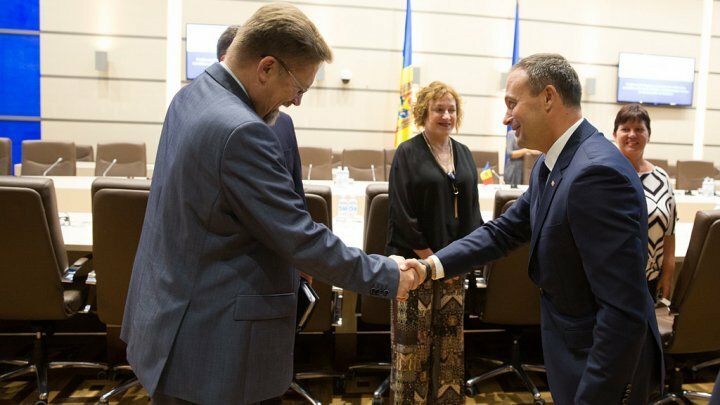 Discussions at the meeting also focused on the level of implementation of the provisions of the Association Agreement with the EU, the progress made by our country, especially at the legislative level, the reform of the judiciary, the political evolutions in the Republic of Moldova. A delegation of the members of the Friendship Parliamentary Group Estonia - Moldova is on a visit to our country from 13-16 September. The visit takes place in order to deepen the parliamentary cooperation relations, especially at the level of the parliamentary friendship groups.